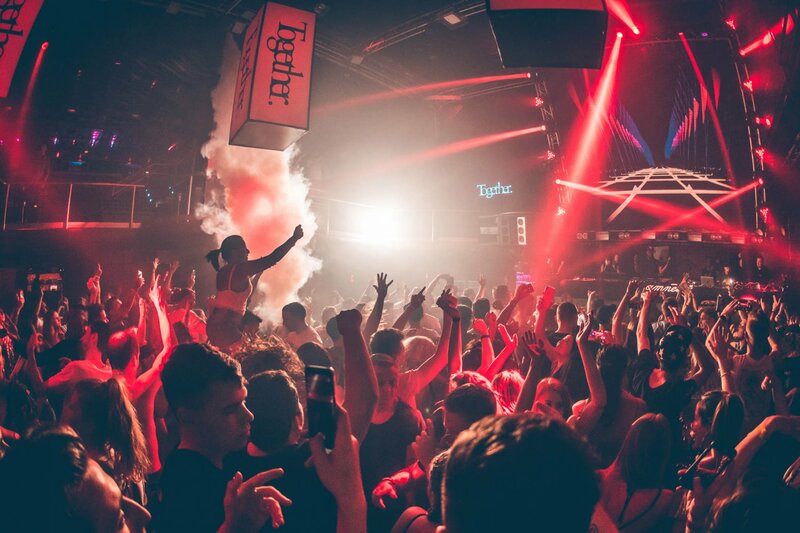 The mighty party returns to Tuesday nights for 2019 Ibiza season. Bringing back the bass full force, Together returns to Amnesia for another full summer on Ibiza. Famous for its unparalleled heavy mix of beats, the event will have a 16-week season in 2019 with quite a few surprises, too. For its ninth season, the progressive party is stepping up its game with a fresh approach to its residency. For one, bass heavyweights will be taking over the Main Room for the first time ever, meaning more heavy tunes than ever to sink your feet into. Also, on top of exclusive sets and special back to backs, some special one-off terrace parties will spice things up further. Whilst details about this and line-ups are currently under wraps, you can expect Together to pull something impressive out the bag. Past seasons have seen huge dance scene names like Chase & Status, DJ EZ, Andy C, Wilkinson, Sub Focus and many others step up to take care of the tunes. Pioneering bassline sounds on the island, Together have also introduced stars the likes of Holy Goof, Darkzy and Skepsis to Ibiza. Together bursts into action on Tuesday 4 June. From there onwards you can enjoy a full summer of supersized parties until the closing on 17 September. One thing is for certain, this season promised to be their biggest yet. Check out this video, then see below for further confirmed details and tickets.